This is the first high torque chime movement ever made! Operates our hands up to 18” long (See page 7) and plays the full 4 x 4 Westminster chime melody every 15 minutes with an hour count on the hour. 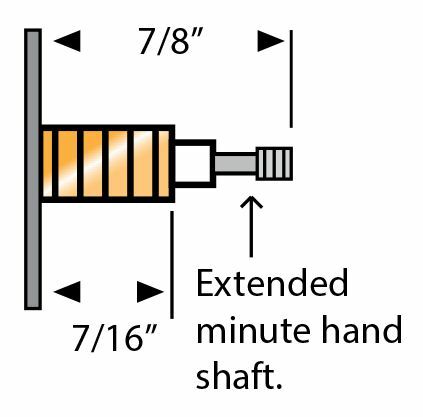 Features an extended minute hand shaft for easy alignment of long hands.